CAST is presenting Nevermore: The Imaginary Life & Mysterious Death of Edgar Allan Poe on Oct. 18-20 and 25-27 at 7:30 p.m. This is a unique and wildly theatrical musical play combining haunting music, poetic storytelling and stunning stagecraft to tell the fascinating and moving life story of iconic writer Edgar Allan Poe. A literary rock star in his day, Poe struggled with tragedy and addiction, poverty and loss, yet produced some of the world’s most original, visionary, and enduring literature before dying in unexplained circumstances at the age of 40. At once gorgeous and grotesque, this show blurs the line between fact and fiction. Gayle Gearhart, CAST artistic director, serves as the director for this production, with music direction by Gary Wilsoncroft. 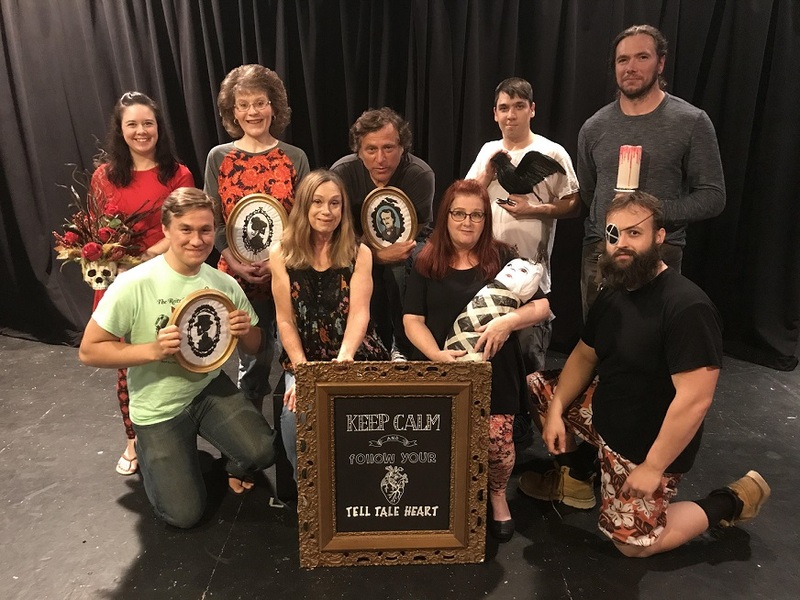 Cast members include Helen Abrino, Misti Bruner, Janet Donahue, Thomas Evans, Lisa Gormont, Tom Hibbert, Shawn Inlow, Steven Weiss and Timothy Weidow. The pit is made of talented musicians Gary Wilsoncroft, Wendy Cline and Michael Hughes. Lighting design is by Gene Deible. Sound design is by Greg Stager. Stage management is by Lisa Boyle. Tickets for this production are $12 for adults and $10 for students. Tickets are available online at www.ClearfieldArts.org, at the CAST office Oct. 15-16 and 22-23 from 5:30 p.m. to 6:30 p.m., and at the box office 30 minutes before each show. For more information, visit www.ClearfieldArts.org or call 814-765-4474. The Clearfield Arts Studio Theatre Inc. can also be found on Facebook, Twitter and Instagram. CAST is a non-profit arts center located at 112 E. Locust St., in the heart of downtown Clearfield.